Long regarded as one of the most valuable, flawless and naturally beautiful gems ever to exist, the pearl is essentially a creative accident. It’s a unique irony that something so endearing to the eye, and so spectacularly meaningful as a decorative jewel, is actually just a mollusk’s natural defense against bacteria and parasites. But what’s that old saying—one sea creature’s trash is another man’s treasure? A pearl, as a gem and a piece of fashion, is significant in that its true beauty can only be achieved through perfection. That perfection, in turn, is what creates and defines the gem’s value, because perfect pearls are so rare and seemingly unachievable. You could almost say that they are held to a higher standard that only a very few can achieve. Of course it would be foolish of us to claim that Pageantry magazine is perfect. But as is with selecting pearls, those that are closest to perfection make the cut, while the others are cast aside. Thirty years in any medium doesn’t necessarily mean perfect, but it certainly shows that we’re doing something right. Many times, when a mainstream icon celebrates a birthday or an anniversary, the affair of elated commemoration often carries a great deal of hyperbole. You regularly hear declarations like, “We’re the best of the best” or “We’re on top of the world,” and while catchphrases are fun, it’s often the true champion that shows the most humility and remains appreciative of those who are responsible for such success and all-around consistency providing performance at the highest level. That’s why, as we celebrate this milestone of Pageantry magazine, it’s important that we convey that while we are certainly working our hardest to bring you the best in pageant, prom, talent, modeling, entertainment, competition and market coverage that we can, our ultimate goal is to represent the people who we are publishing this magazine for. After all, with 30 years of industry coverage under our belt, our readers must be doing something right if they keep giving us such great events to cover. As we appreciate where we’re at today and how this publication has evolved into a beacon of glamour, it’s important to remember where we came from. If it weren’t for one man’s idea and vision 30 years ago, we wouldn’t be here today, providing you with an outlet to share your winning ways and your Glamour Lifestyle. 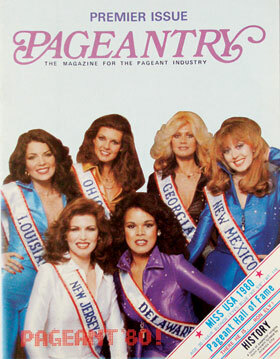 A Glamorous Debut: The premier issue of Pageantry magazine was a 24-page newsletter and featured the cast of Pageant ‘80 on the cover. Thirty years later, Pageantry features up to 244 full color pages. Before there were cable news networks, blogs, Twitter, Facebook, MySpace or even the Internet itself, people had to roll up their sleeves and get creative if they wanted to provide a relevant outlet for timely and necessary information. It took gumption, determination and an overwhelming wherewithal for people to create new mediums in a media industry that was dominated by the major market daily newspaper, a few iconic national magazine titles and especially the emerging national television networks. But the advantage of the times in 1980 was that there was always opportunity so long as there was a solid idea and someone with the charisma and intelligence to make it come to fruition. Carl David Dunn, President of International Productions and Publications, Inc., saw that there was an opportunity and necessity in the pageant industry for a source of news and an outlet for pageant and competition coverage. That vision 30 years ago was the precursor to the most respected and sought after name in the business. Pageantry magazine’s roots are humble and simple in stature. Once a 24-page industry newsletter, the publication began with limited circulation, often passed around at regional pageants and certainly a far cry from a full color magazine being provided to every competition participant on the local, state and national level. But that was the business in 1980, and there weren’t nearly the resources that we have today. Thirty years ago, word of mouth meant that people spread news by actual human interaction and conversation. If you look at the top stories of 1980 and compare them with 2009, there isn’t much of a difference. There are rising gas prices, turmoil and conflict in the Middle East, substance abuse in professional sports and clashing political parties here in the United States. Whereas U.S. President Jimmy Carter helped broker the Camp David Accords between Israel and Egypt in 1980, former U.S. President Bill Clinton has traveled the Middle East brokering peace for the past year as well. There’s an old saying in the news media—the stories never change, just the names of the people. How those stories are told, though, is an entirely different matter. As mentioned, in 1980 you had newspapers, a few magazines and the network television news reports. People received their news from trusted network anchors and established veteran newspaper columnists. Today, we have celebrity gossip updates texted to our Blackberry smart phones. We can access web sites like CNN, Yahoo!, Fox News and, of course, Pageantry magazine from our iPhones. Celebrities have removed the media as a middle man in giving their opinions on current events or showing their support in political races because all they have to do now is log on to Twitter and drop a few Tweets with their thoughts, so long as they’re less than 140 characters. Carl David Dunn didn’t have a Blackberry or a Twitter account. He didn’t have Pageantry’s MySpace profile or an email blast to send out to industry leaders across the country. It’s the story of the little newsletter that could, and how one man rolled up his sleeves and established a lasting industry icon the old-fashioned way. One that would thrive through 30 years as a source of all things glamour. 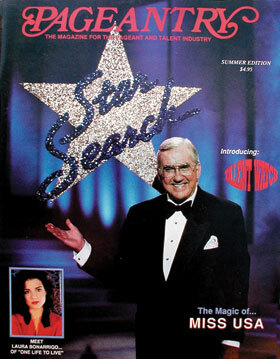 You Were Correct, Sir: The late Ed McMahon, seen here on the cover of Pageantry, hosted the pioneering TV talent show Star Search from 1983 to 1995. The show was an inspiration and forethought to the modern TV mega sensation American Idol. In 1980, a national television audience watched as Cheryl Prewitt of Ackerman, Mississippi, was crowned Miss America 1980, succeeding Virginia’s Kylene Barker from 1979. The nation watched again that year as Shawn Weatherly was crowned Miss USA 1980. Shawn, of course, was later replaced as Miss USA that year by Jineane Ford of Arizona, after Shawn became the first American woman in 13 years to win the Miss Universe crown. That was the most exposure the nation had received to the glamour industry to that point. Until 1983, modeling and talent competitions flew under the radar. The country wasn’t able to witness stars born right before the eyes of a viewing audience of millions. Then Star Search arrived and we had our first taste of the concept of discovery, that rags-to-riches really was a possibility. It was also a good example of what was happening on a broader scale at modeling and talent competitions throughout the country. Alas, these competitions also lacked the proper outlet for people nationwide to meet the newest fresh faces of the modeling and entertainment industries. As Pageantry grew from a limited-circulation newsletter to a legitimate industry news and lifestyle resource, faces became more familiar and the casual reader grew to learn about more pageants and competitions as the years passed. The years flew by and the pageant and competition systems grew with the advent of more creative and accessible media outlets, Pageantry especially included. Miss America led to crossover success for Gretchen Carlson (1989), who has followed a career in broadcasting to her current position on Fox & Friends. Debbye Turner (1990) is a reporter and anchor for CBS’s The Morning Show and Leanza Cornett (1993) was a host of Entertainment Tonight for two years. Kate Shindle, Miss America 1998, went on to star in the Broadway musical Jekyll & Hyde. Miss USA saw a crossover from the pageant world to the entertainment industry, as Julie Hayek (1983) had roles on Dallas, Twin Peaks and As the World Turns. Laura Harring (1985) also made a career as a soap opera actress, and Shanna Moakler (1995) and Ali Landry (1996) have both had quite successful modeling careers. And, of course, it wasn’t always the Miss USA winners who had the spotlight. The first runner-up at Miss USA 1986 was Halle Berry, and she’s done pretty well for herself in Hollywood. But it wasn’t just Miss America and Miss USA making the largest impacts. As the years progressed and Pageantry helped spread the news of success and talent discovery, as America’s Junior Miss 1980 Julie Moran went on to become a longtime Entertainment Tonight correspondent. Modeling and talent competitions like the International Modeling and Talent Association, the Modeling Association of America International, John Robert Powers and Barbizon, to name a few, helped discover celebrities like Ashton Kutcher (IMTA winner, star of That 70s Show and What Happens In Vegas), not to mention Katie Holmes, Eva Longoria, Jessica Biel, Elijah Wood, Seann William Scott and an entire generation of pre-teen actors chomping at the bit to make the leap. Before Pageantry, these organizations and agencies had limited coverage and were at the mercy of national news media and general coverage magazines that once ruled the entertainment industry with an iron fist, dictating the importance of one event versus another. With Pageantry, every event became important, and these young titleholders, models and entertainers finally had a publication to turn to. 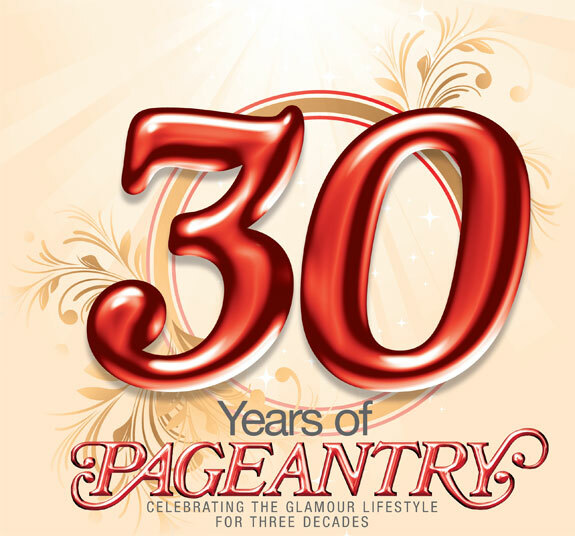 Over the past 30 years, Pageantry has helped broaden and redefine the industry’s parameters by focusing the attention on the important roles played by the beauty, talent, modeling and artistic-performance-related businesses which form the basis of the publishing company’s core constituencies. In doing so, Pageantry has helped several generations of young people acquire the tools necessary to reach for the stars, whether that be in such intimate settings as local and state arenas or in the major national pageants such as the Miss America and Miss Universe Organizations, the virtual explosions of Mrs. competitions, numerous teen, pre-teen and children’s competitions, and talent and modeling conventions from the likes of the International Modeling and Talent Association, the Modeling Association of America International, John Robert Powers, iPOP!, AIM International Models and Talent, and Barbizon. It is, without a doubt, an incredible time for competitions of all types, and surely no other publications reflect those marked changes more impressively than Pageantry, as the leading competition publication of its kind. Over 30 years, Pageantry has thrived and evolved as the industry standard for all things glamour. From its infancy spinning off from founder Carl David Dunn’s Baton Rouge-based newsletter, Pageantry magazine now covers the world as it has evolved and grown in significance in numerous ways. In the last year alone, the magazine has carried reports from across mainland America, Alaska and Hawaii, South America, Russia, Gibraltar, the Phillippines, and even China—which, by opening its doors to glamour competitions with the Miss World 2003 finals, underscores an important point, which is that our collective industry is a part of the very fabric of our modern society. Today’s Pageantry serves not only to record the accomplishments by such 2009 winners as Miss America 2009 Katie Stam, Miss USA 2009 Kristen Dalton, Miss America’s Outstanding Teen 2008 Taylor Fitch, Miss Teen USA 2008 Stevi Perry and Miss Universe 2008 Dayana Mendoza, but also to promote partnerships within the support industries comprising all of the beauty, modeling and talent fields. With its annual Pageantry and PromTime fashion showcase—the largest on-site fashion shoot in the world—the magazine now stands as a recognized leader in debuting the country’s cutting edge formal-occasion couture to both retailers and customers. From its humble beginnings as a 24-page, limited-circulation pageant “fanzine,” Pageantry now comprises up to 224 glamourus full-color pages per quarter, with millions of readers around the world and an Internet presence that records up to 32 million hits per month on its PageantryMagazine.com and PromTime.info sites. Over time, the content driven publications and web sites have continued to sharpen their focus in providing this increasingly sophisticated audience with a wealth of valuable coverage and advice on such matters as: glamour, competition fashion, personal communications, talent and modeling career development, medical advances for appearance-related professionals, the latest looks from the cosmetics to the jewelry industries, event planning and production, personal development opportunities and news from competition organizations that range from small local events to those of international scope. Perfect Timing: PromTime magazine is published once annually and features the newest and hottest designs and styles for the Prom season. Each issue also contains additional advice and expert opinions on how to have a safe, successful and perfect Prom experience. With increasingly limitless technology and networking advantages, Pageantry has been able to showcase its dedication and devotion to the Glamour Lifestyle like no other. What started as a small newsletter, limited in resources and readership, now has the advantage of countless experts and analysts to offer their advice and opinions on how Pageantry’s readers can live up to their own definitions of glamour. While we certainly “Celebrate the Glamour Lifestyle,” we recognize and respect that glamour is an expansive term with a different definition to everyone. Glamour is a state of mind, and Pageantry’s growth into the leading Glamour Lifestyle magazine has increased our responsibility to continue to provide our readers with the resources to help them determine how they define glamour and how they can go about achieving it for themselves. Gaining importance also over the years has been the magazine’s leadership in bringing a growing legion of retail partners into year round contact with the styles of formalwear fashion manufacturers and wholesale marketers, at a time when the competitive business realities of fashion boutiques have affected retail attendance at fashion markets nationwide. 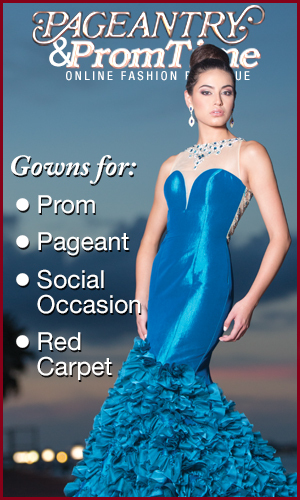 By sponsoring marketing efforts of the evening wear and social occasion fashion industries, Pageantry has made a noticeable and positive impact at a national level, as it has become the No. 1 publication distributed to retail store buyers at such major fashion markets in Atlanta, Chicago, Dallas, Las Vegas and New York. At the time that Carl David Dunn came up with the idea of promoting the pageant industry, Jimmy Carter was president and pageants still had a fight on their hands with a vocal segment of women who were demanding gender equity with men, and conveniently but unfairly, used pageants as symbolic targets of their blame. Yet from the appearance of its very first issue, Pageantry identified the key qualities of pageants which positively combine society’s traditional view of women, which highlighted her natural beauty, with the emerging modern view, which melds physical beauty with intellectual enlightenment, business success, personal sensibilities, and the other rewards promised to women in a modern, post-industrial society.